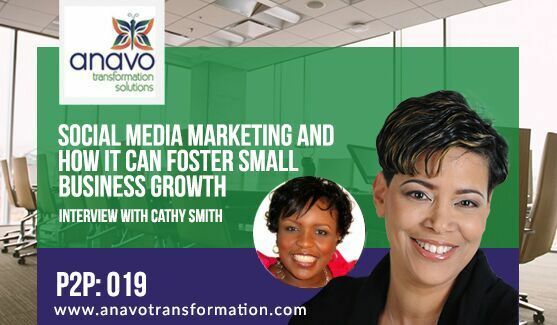 Cathy E. Smith is the Chief Online Marketing Strategist of C2 Internet Marketing Strategies, LLC and has over 10+ years of experience in online marketing and e-commerce. She serves as host of The P.R.I.M.E. Show (PR and Internet Marketing for Entrepreneurs Show) which is a weekly internet radio/podcast show designed with the business owner in mind. Cathy is the author of Turn Your Passion Into Profits: Free and Low Cost Online Marketing for Entrepreneurs which provides information to assist small business owners in developing their online presence on a small budget. She has also been featured in the business directory Careers from the Kitchen Table 4th Edition along with John Assaraf Cookie Johnson, Dr. J.B. Hill, and many others. Cathy strongly believes that internet marketing is an essential tool for today’s entrepreneur. You can’t have a successful business without leaving an imprint online. Her business continues to expand with online connections both nationally and internationally. Can you share how the internet marketing concept has evolved over time? What types of businesses would benefit from having a social media present? How do you determine which social media platforms are right for your business? What are your top 3 tips on trying to engage an audience or attract a customer on Twitter? Do the same strategies to engage any type of business? I consider myself an information Broker. The benefits of adding video to your marketing plan. The pros and cons of marketing on Facebook and LinkedIn. What retargeting is and how it’s used. What are the top social media platforms for marketing? How to get more engagement with your posts. Be sure to connect with Cathy through her website and social channels. Maybe it’s time to take your social media marketing to the next level.